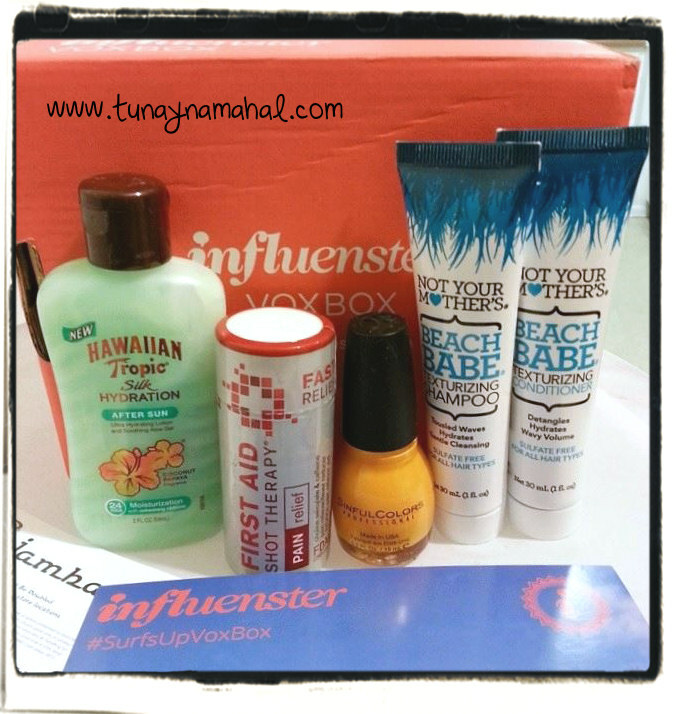 I was recently sent the Surfs Up Voxbox from Influenster. Included in my box was Sinful Colors, Anchor's Away. It's a bright orange yellow color. Immediately I had thoughts of doing some sort of sunset gradient. This was my first time trying Sinful Colors polish. The formula was really nice. I tested the color alone on my pinky, and it was opaque in two coats. For the gradient design I used OPI Suzi's Hungary Again, and dabbed on Sinful Colors Anchor's Away. I topped it off with China Glaze Fairy Dust, and Seche Vite. For the stamping I used Konad white, and Winstonia Store W-04.